From planning to booking and beyond, the Expedia App is designed to enhance your journey. Get inspired with our iPad travel collections. Save with mobile-exclusive deals on your iPhone. 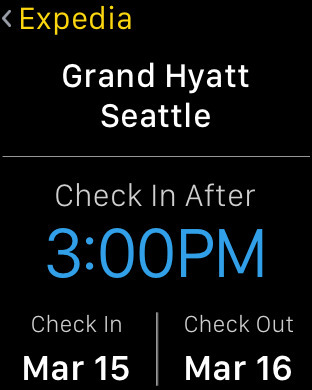 Stay one step ahead with flight, hotel and car alerts on your Apple Watch. ● Save up to 40% with mobile-exclusive hotel deals for tonight, or any night. ● The world is your oyster. Simply choose your flight departure date and destination. ● Get going as soon as you land. Book an airport car rental up to 30 minutes in advance. ● Earn triple Expedia+ points on all your purchases. 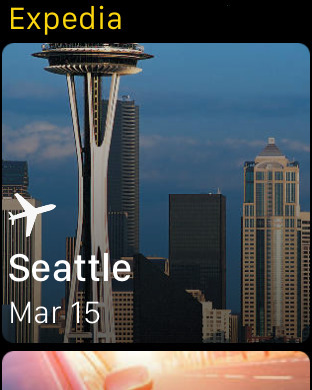 ● View upcoming trip details on your iPhone, iPad or Apple Watch. ● Access address information and get maps for directions. ● Receive alerts for flight delays, hotel check-out times and more. View your reservation information, including hotel name, check in date, check in time, and check out date. 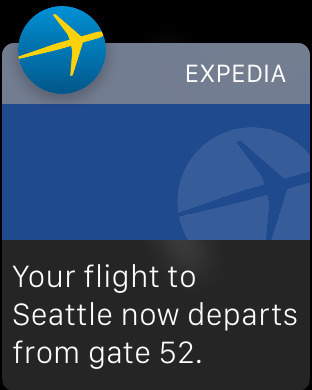 Get updated on departure gate information from your Apple Watch. 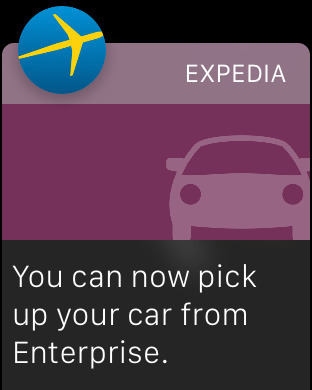 When your car is ready for pick up, Expedia lets you know where to pick it up. 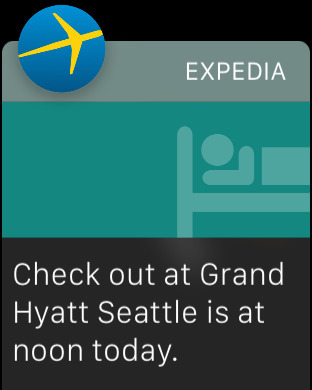 Expedia on your Apple Watch reminds you what time check out is on your departure day. Welcome to Expedia—your online travel agency. As one of the world's leading online travel companies, we make it easy to plan your next business or leisure trip. Explore our site, mobile apps, and Facebook page to discover destination ideas, get information about flights, hotels, car rentals, cruises and more, then book and purchase your trip. We specialize in vacation packages—simply book your flight + hotel together to get the biggest discounts available. Wherever you go, we're with you every step of the way!